The way your consumers communicate and seek information has changed and evolved dramatically over the last few years to a point where what they expect from you and your business is totally different to how it's ever been before. And as a business, you need to be one step ahead of the competition. And this is where inbound marketing can help. Whilst it's not a new concept in the world of marketing, it's fast becoming a proven marketing methodology that adds value to the way your customers and prospects see your brand and help to effectively grow your business. If you're considering jumping on the inbound marketing train but are still left a little unsure about how it can positively impact your business for the better, we've put together some research that just may help sway your decision. Recent research shows that businesses who use marketing automation as part of their inbound marketing strategy, generate a 451% increase in qualified leads. Optimises lead conversion paths through targeted, informative and educational content, landing pages and strong calls to action - taking buyers on a journey of discovery and conversions. In fact, it's been reported that businesses experience a 55% increase in leads just from these activities alone. Build brand loyalty and trust and see results that will last as you convert your buyers through a journey of attract, convert and delight. In turn they'll become your brand ambassadors and a valuable asset to your business that will help to keep converting leads over and over again. Generate increased ROI through inbound marketing methods compared to more traditional marketing communications. 41% of marketers claim that proving ROI from inbound marketing campaigns is far easier and more effective through their inbound marketing platform. Inbound really is the gift that just keeps on giving. Content marketing, a key practice with inbound marketing, costs 62% less than traditional marketing methods and generates on average 3 times as many leads. In turn that can help generate 6x more conversions than your standard marketing practices. A pretty strong key factor when thinking about adopting inbound into your strategy! You'll save time and money in the long run. With everything hosted on one platform you'll no longer need to fork out for different CRM, email marketing or social media scheduling platforms. Plus, each and every element within the inbound marketing system talks to each other - giving you a much more detailed view and insight into every client and prospect! If after all that you're still a little worried about how you're going to find the time to implement and manage another strategy with restricted, or limited, resource, then look no further. We have a team of inbound marketing specialists who are armed and ready to help your business grow. From the initial inbound marketing strategy, to content plans, SEO and marketing automation - we take care of all the leg work for you to help take your business to the next level. Allowing you to focus on what you do best. 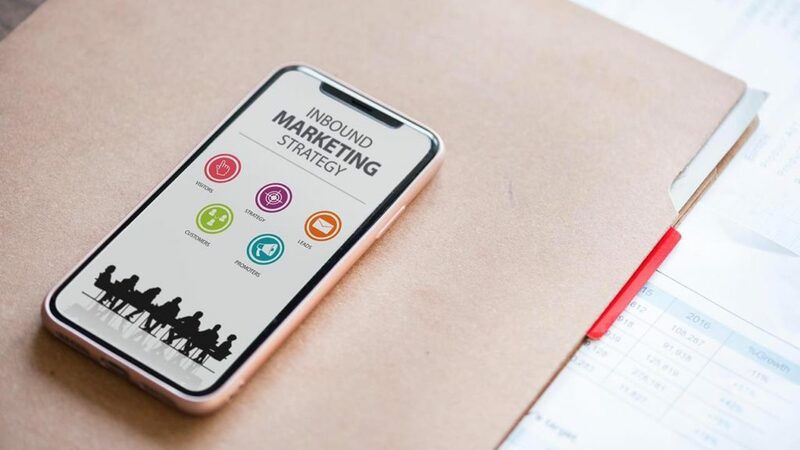 We can bring value to your marketing strategy by managing the entire inbound process for you and bringing you the results that will make your business boom! Still not convinced? We've been working with a client who has recently started their inbound marketing journey and are already seeing incredible results from our inbound marketing efforts. So much so, their current conversion rate from inbound marketing alone is an incredible 45%. That's pretty impressive to say the least! Let us help you achieve the same and more! Get in touch with us via email and one of our dedicated inbound marketing specialists will be in touch with you to discuss your journey in more detail.